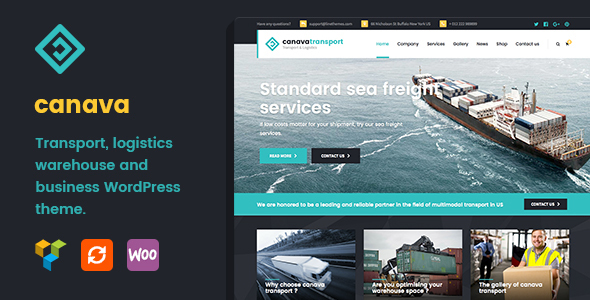 Canava is a premium responsive WordPress theme created especially for logistic & transportation companies, offices. It is very easy to setup and use. The theme comes with loads of great features like custom components, web fonts, animated content & powerful CSS3 animations.